Formal Men's Accessories.Baltic Amber Cufflinks.Made in Poland. Home > Cufflinks > Gemstone Cufflinks > Honey Baltic Amber and Sterling Silver Cufflinks. 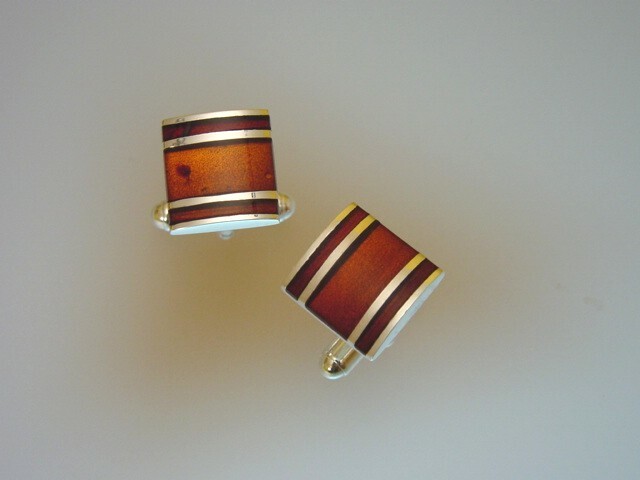 Cognac Baltic Amber cufflinks with sterling silver mounting.Formal men's accessories.